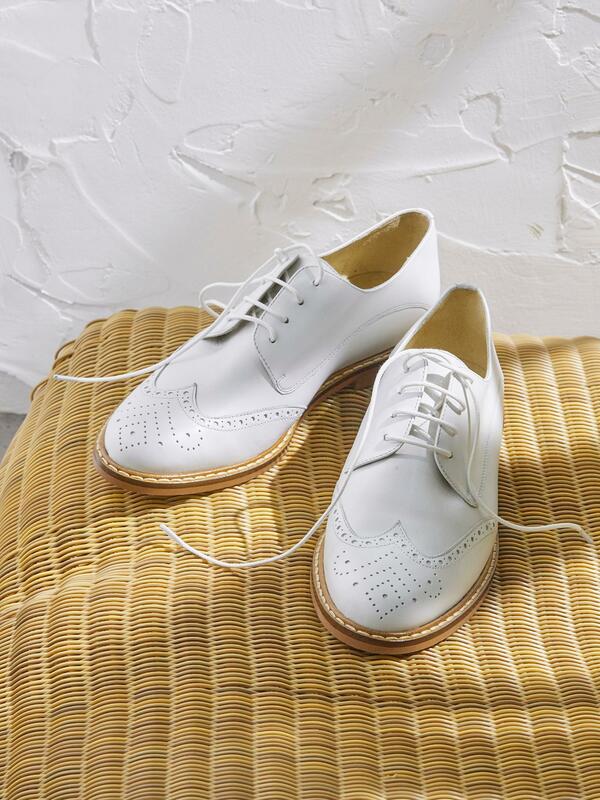 A sure thing for urban elegance, these Derby shoes have a foretaste of summer with their modern and fresh look. Rounded toe. Cut-outs and perforations. Contrasting topstitching detail along the welt. Lace-up fastening. Heel, 3cm approx. Leather uppers, lining, and sock. Elastomer sole. We work with the finest specialists in Europe. Partners in excellence who master all the production steps for beautiful quality shoes.